The Cook Islands has approved a shark sanctuary in its waters, making for the largest such sanctuary in the world. The South Pacific island chain declared a 1.9 million-sq-km sanctuary, contiguous with one established last week by neighbouring French Polynesia. That sees a ban on shark fishing and possession or sale of shark products in an area now totalling 6.7 million sq km - nearly the size of Australia. As top predators, overfishing of sharks disrupts complex oceanic food webs. And about a third of ocean-going sharks appear on the internationally-recognised Red List of Threatened Species. 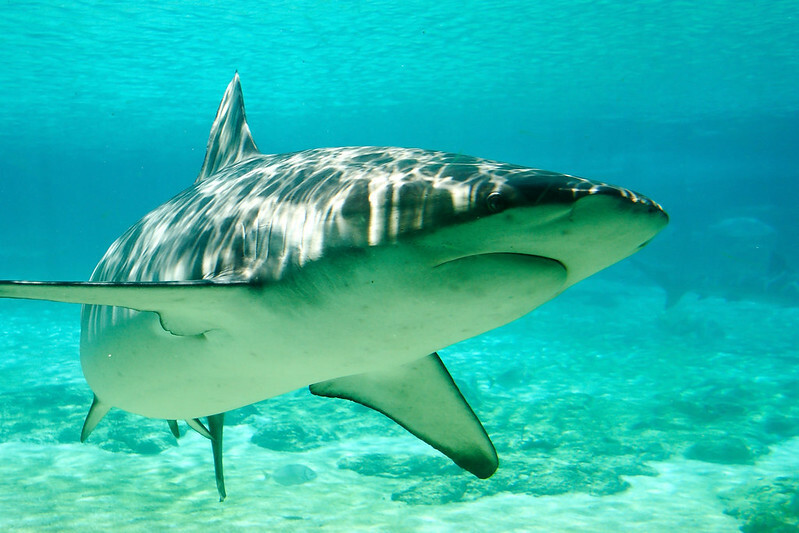 "We are proud as Cook Islanders to provide our entire exclusive economic zone... as a shark sanctuary," said Teina Bishop, Cook Islands minister of marine resources. "We join our Pacific neighbours to protect this animal, which is very vital to the health of our oceans, and our culture." Last week's move by French Polynesia overtook the Marshall Islands' area, outlined in late 2011, as the world's largest - and the Cook Island's claim adds 40% more area to that title. As with the Marshall Islands' declaration, the Cook Islands' effort was with the help of the Pew Environment Group, which advocates island nations' involvement because of the vast scope of their territorial waters. Pew worked for more than a year with the Pacific Islands Conservation Initiative ahead of Thursday's announcement. "This is hopeful news for the world's sharks and our efforts to protect them," said Jill Hepp, director of shark conservation for the Pew Environment Group. "We are thrilled to see the Cook Islands become part of this global movement during a time when so many shark populations are threatened."